After almost 20 years, UK’s top band of the 90s, 911 is thrilled to announce their comeback concert in Malaysia in June this year. 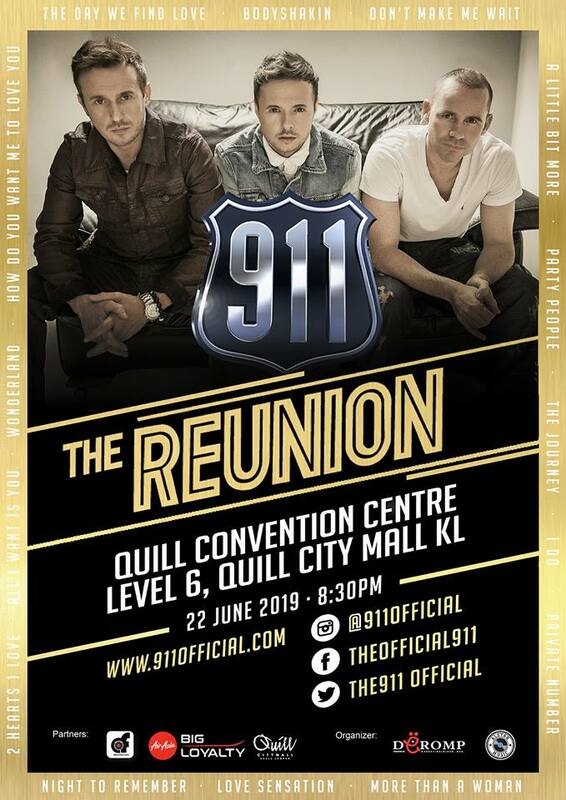 Aptly titled The Reunion, band members Lee Brennan, Spike Dawbarn and Jimmy Constable are looking forward to reuniting with their Malaysian fans once again. 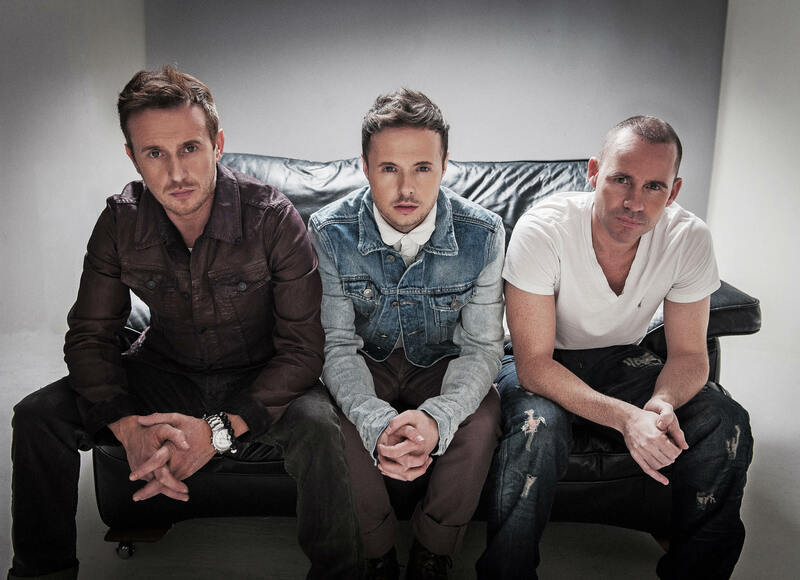 The English pop group that won hearts with hits such as you Don’t Make Me Wait, Bodyshakin’, The Day We Find Love, A Little Bit More, Party People, Private Number and many more, will be performing live in Kuala Lumpur on 22 June 2019. At the height of their success, 911 sold millions of albums and scored several top 10 hits in the British charts and gained popularity in South East Asia where their first two albums reached the number one spot. Spike and Jimmy, who are both dancers, first met while working on the late- night ITV show by Pete Waterman in 1991. Then in 1995, Spike and Jimmy formed a partnership and teamed up with front man Lee to form 911. Their debut single, a cover of Shalamar’s Night to Remember reached number 38 on the UK Singles Chart, with subsequent releases rising higher on the charts. In May 1996, 911 scored their first top 10 hit with Don’t Make Me Wait from their debut studio album, The Journey, which was certified Gold by BPI (British Phonographic Industry). In Asia, The Journey became the group’s best-selling album, with Malaysia leading the way. The album topped the local charts and reached 12x Platinum, followed by 6x Platinum in Taiwan. In 2012, the ITV2 documentary series, The Big Reunion, brought 911 back along with a host of other 90s groups – 5ive, B*witched & Atomic Kitten for a TV series and live concert tours in the UK. 911 have not stopped performing as a group since then. featuring the single `I Do’. Ticketing details for the Reunion concert will be announced soon!